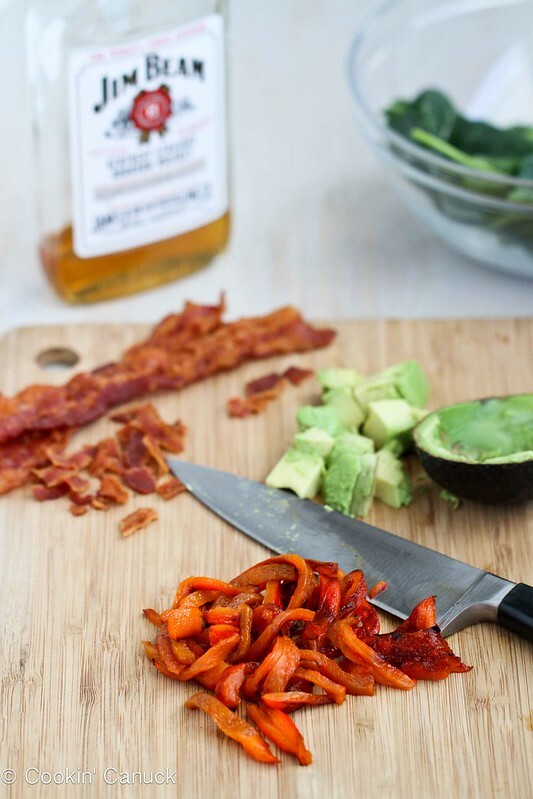 Celebrate Mardi Gras with a spinach salad tossed with a bourbon dressing, and topped with avocado and bacon. If you can’t be at Mardi Gras in person, you might as well douse your salad in bourbon. Now, I know this isn’t traditional Mardi Gras-esque food. It’s not gumbo, jambalaya or etouffée, and there’s not even a collard green in sight. But hey, it has bourbon. That should count for something, right? So, pull on those colored beads, whip yourself up a Hurricane, or some other potent cocktail, and get ready to celebrate. To make things even better, the dressing is warmed, which will soften the spinach slightly and add a layer of “fancy” to this simple salad. Creamy avocado, salty bacon and slightly smoky roasted peppers add layers of flavor and texture that will make you say, “That’s the best salad I’ve eaten in awhile.” Well, that’s what I said, anyways. 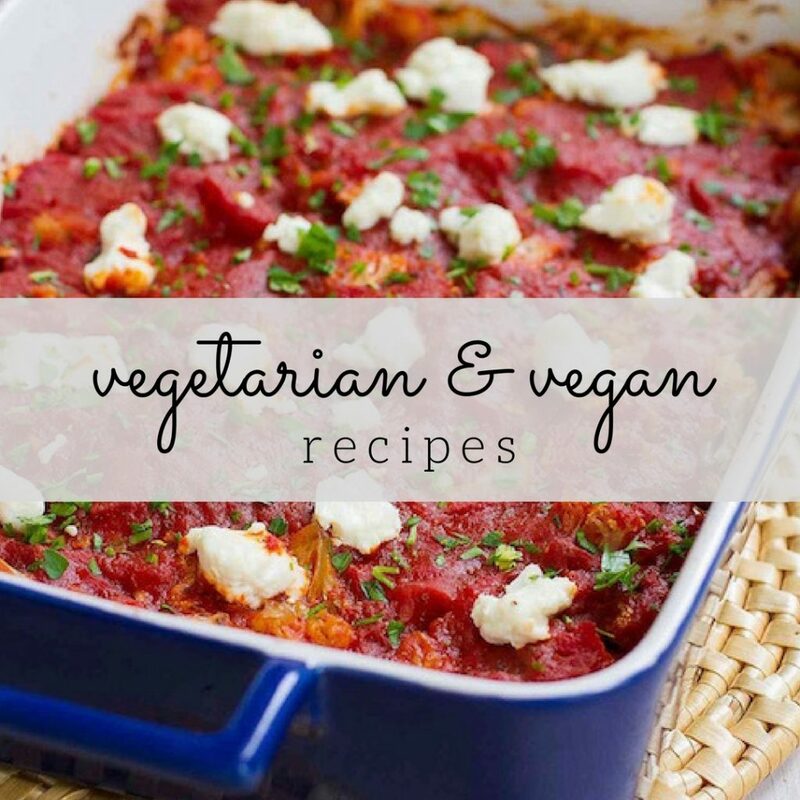 The fat content is a little higher some of my other salad recipes, but only a very small portion is saturated fat. 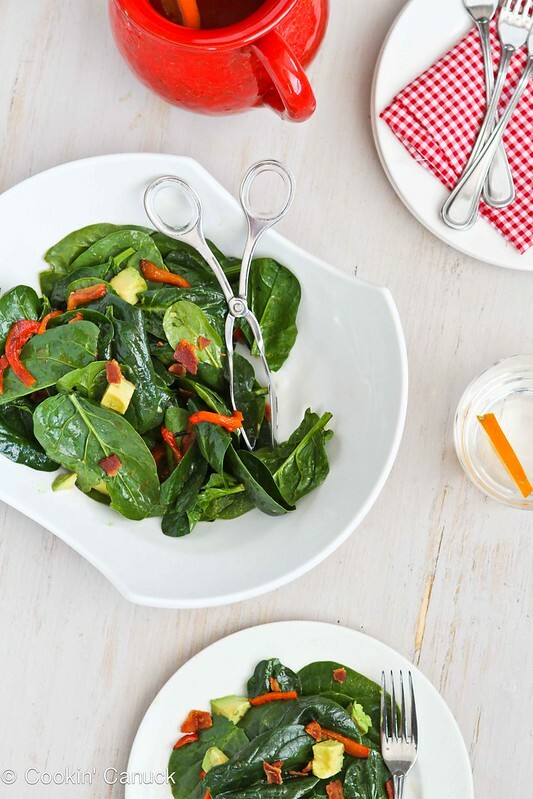 Besides the bacon, this salad provides heart-healthy fat from the avocado and olive oil. 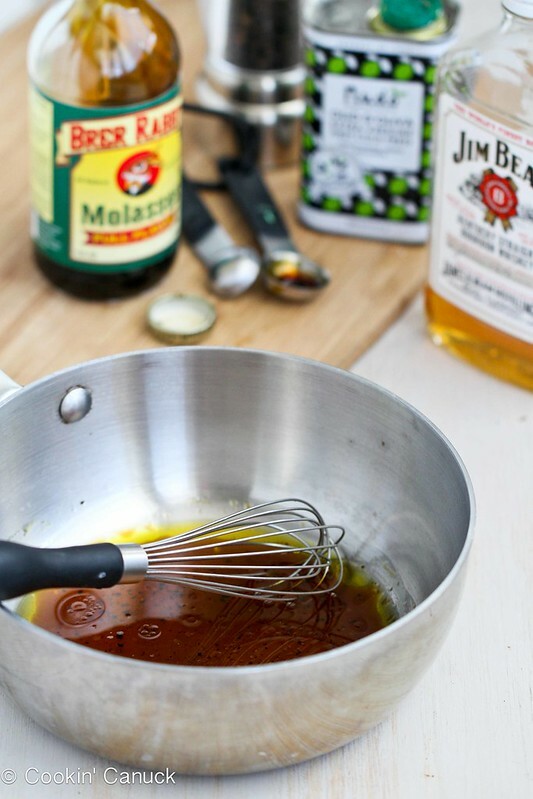 In a small saucepan, whisk together the apple cider vinegar, bourbon, molasses, agave nectar (or honey), salt and pepper. Slowly whisk in the olive oil. Set the saucepan over medium-low heat, whisking occasionally, until warm. 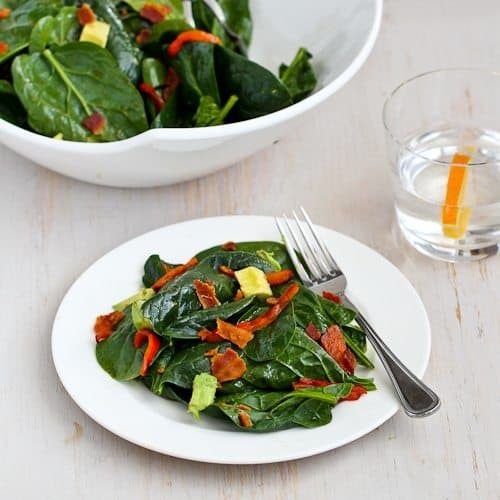 In a large serving bowl, combine the spinach leaves, crumbled bacon, roasted peppers and avocado. Pour in the dressing and toss gently. Serve immediately. You had me at bourbon . . . or maybe it was the avocado, or the bacon, even the spinach. I love ’em all. And your photos and step-by-step are, once again, simply gorgeous. Beautiful! What a fun salad! Im always in need of some creative salad Ideas!! Thanks! Oh my – I love the thought of bourbon in a dressing! Mmmmmm! Loving this salad for Valentine’s day!! 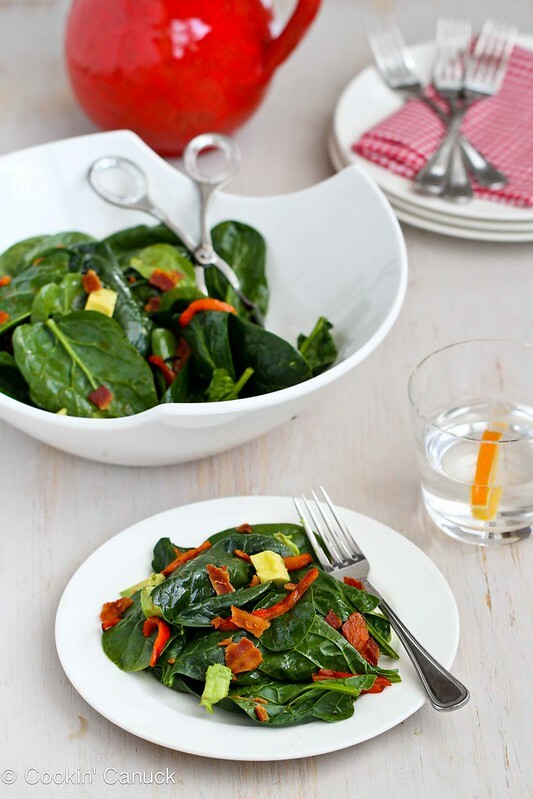 My hubby loves warm bacon spinach salads. I’ve always loved a salad with spinach and bacon and a warm dressing. Adding bourbon…well, you just KNOW that is right up my alley, right? Sounds pretty perfect to me. I think this probably will become a tradition, it’s lovely! This salad looks lovely, and from the ingredients I bet I’d say the same thing after I ate it, too! I love this salad, it’s refreshing and very healthy. What a nice touch adding bourbon to the vinaigrette…Yummy!!! 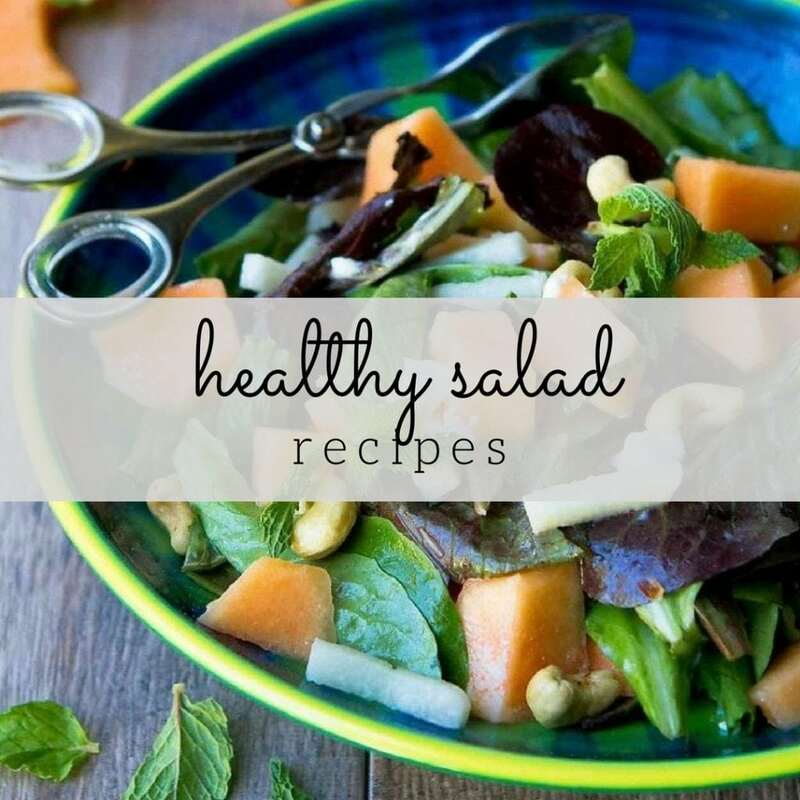 This salad is packed with gorgeous colors and amazing flavors, I love it. I’ve never had gumbo, crazy right? 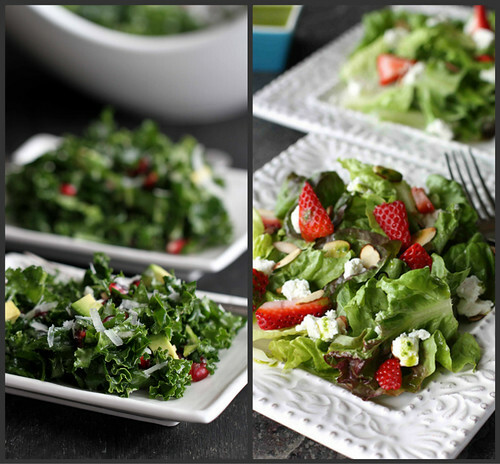 I really need to get on that… And this salad looks fabulous, too! I love bacon through and through. Mmm I love how sinful and healthy this salad is! I love all of these flavors together and that is a knockout gorgeous plate of salad! I love a warm salad and that bourbon dressing sounds incredible! Well, I’ve been completely oblivious to Mardi Gras this year, but I’d be happy eating bourbon spinach salad any day of the year. 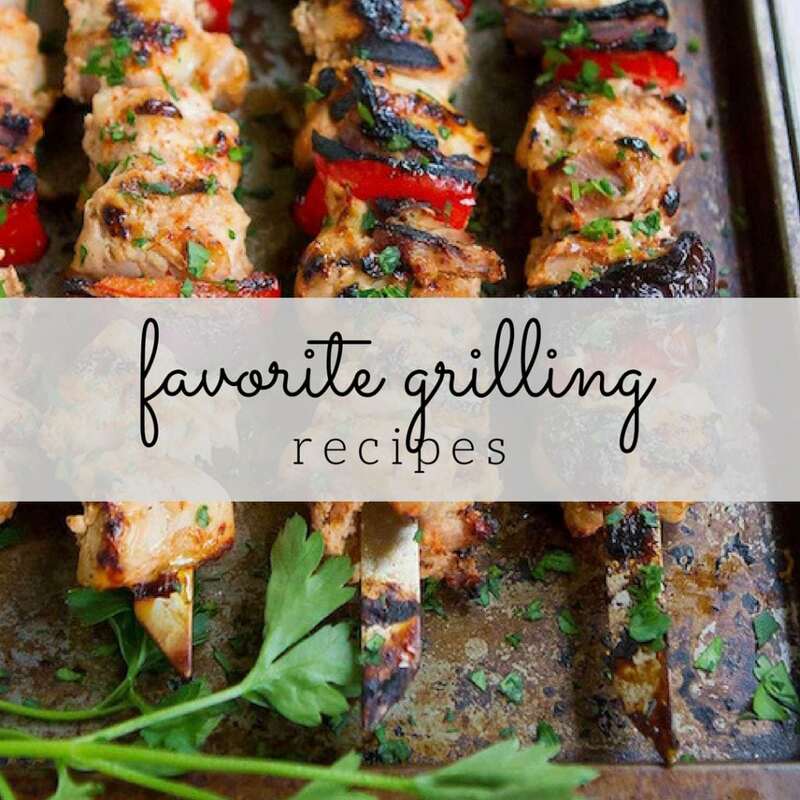 This looks so tasty, Dara! Bourbon in salad? HECK YES! As soon as I can crawl out of my sick bed and put on something besides my flannel jammies, I’m going to go buy all the ingredients for this salad. Is it sad the only thing I have in the house already is the bourbon? That is the cutest bowl! I love the way it curves like that! For the 3rd overload version Sort method, it is useful when we only need to sort a range of items in an Array – List. was over,” the source tells Us Weekly.